SuspAct Chassis Geometry Program File. Your access "dongle key" that is sold separately gives you access to the program each motorcycle you own will have a different profile and setup that is sold here. 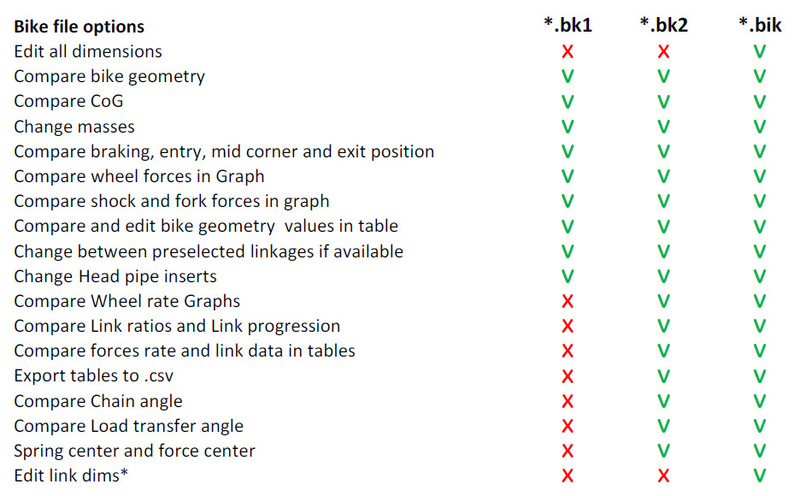 The .BK1 and .BK2 files offer different levels of access explained below. Know what you are doing when you change your bike's setup. The SupAct geometry is developed in a racing environment. This means that the software is easy to use with a practical approach. Standard bike fitments are shown at the bottom of this listing. Please put your make, model and year bike in the notes at check. If you do not see your bike please reach out to us at 800-867-6480 ext 800 and we will review current records for fitment or quote a custom job. Below images represent some key features of the Software. 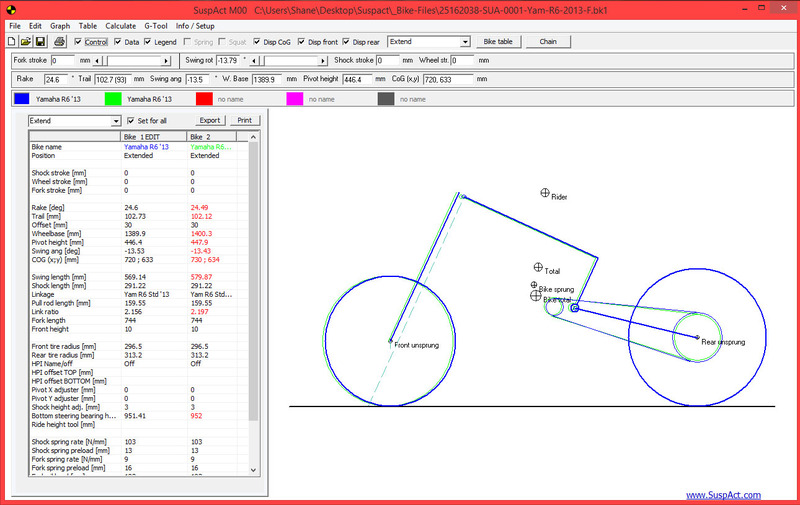 The program screenshots below demonstrate what changes in the chassis including dramatic changes in center of gravity, trail, wheelbase, pivot, etc. ; just by changing the the rear sprocket gearing from a 45 tooth to a 42. SuspAct software will display change differences in RED when viewing multiple bikes. 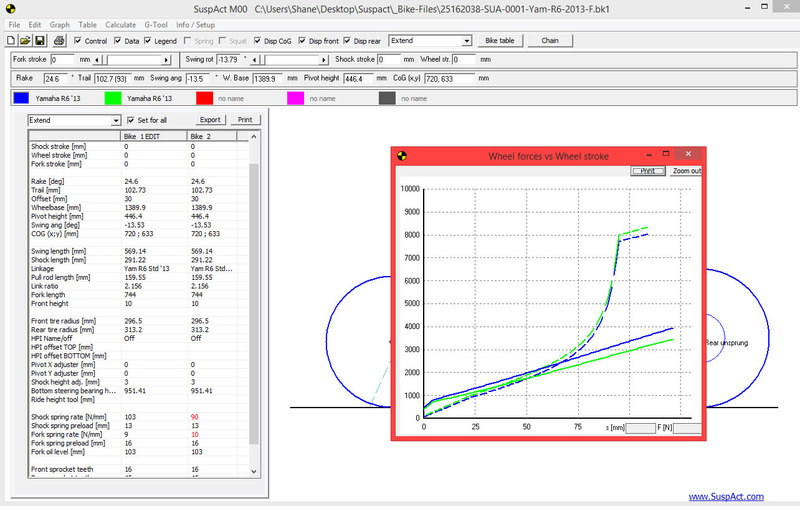 The program image below shows an adjustment from a 3mm shock height to a 5mm. Notice the rake, trail, wheelbase, pivot height, swign angle and center of gravity are completely different and so will the handling aspects of your bike. 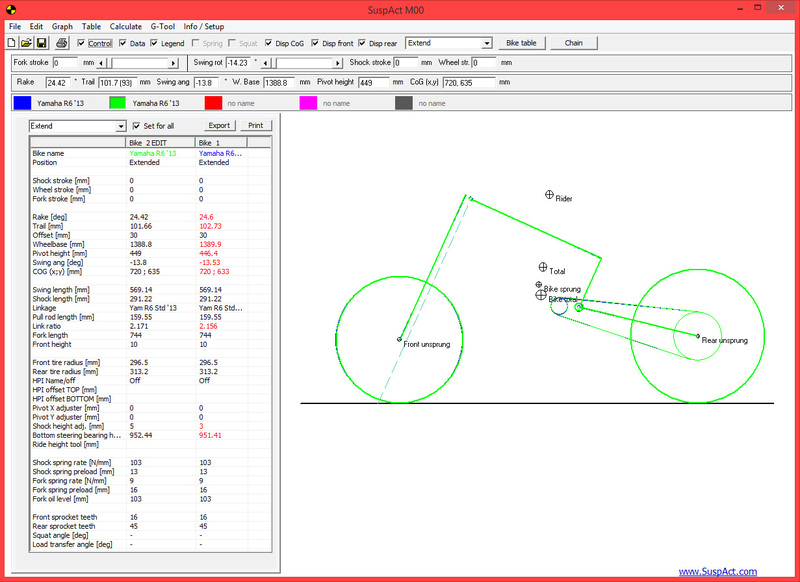 SuspAct will allow you to make educated changes to maintain your bike's optimized geometry.